There are a number of sources of funding for sport and physical activity for clubs and organisations, coaches, facilities & improvements and talented individuals to apply for. Wiltshire and Swindon Sport has and will continue to develop a Funding Directory (A – Z) to assist and signpost you to help identify the most applicable source of funding for you. We can also provide you with initial advice and support with the application process. For each funding stream we have provided some summary information for you and the appropriate web-site link. Within this section of the web-site and through our Latest News alerts we will provide regular updates and announcements on new and updated funding sources. You may also wish to access www.grantfinder.co.uk which is also a useful resource. * Additional links for Sport England to the right on this page. ACT provides grants to individuals and other charities, principally in the UK, with the aim of enhancing the quality of life for people in need, (specifically the mentally and physically disabled). Building - funding modifications to homes, schools, hospices etc. Equipment - provision of specialised wheelchairs, other mobility aids and equipment including medical equipment to assist independent living. Financial assistance - towards the cost of short-term respite breaks at a registered respite centre. Projects that intend to be a platform for continuing services will be expected to demonstrate sustainability. ACT would be concerned to be a sole funder of projects that require ongoing support. Check website below for exclusions. Applications are welcomed for grants from all sections of the community and decisions on prioritisation are made having regard to funding levels and never on grounds of gender, age or race. Decisions on grants of up to £50,000 are normally made within one month of receiving your application. Decisions on grants over £50,000 can take up to three months. If the application is for an emergency a faster timescale can be requested and ACT will do their best to assist. Application Form: Apply in writing following the guidelines on the website. For more information, please visit the Aviva Community Fund website. Purpose: We want to fund projects which address the issues, needs and aspirations of local communities and people. We will fund a wide range of community projects aimed at developing skills, improving health, revitalising the local environment and enabling people to become more active citizens. Sporting clubhouses or pavilions are eligible for grants through Biffa Awards, but only if the building can demonstrate regular use by the wider community beyond the sports club or team. Recreation is an activity of leisure for enjoyment, pleasure and development purposes, and every community should have access to high-quality recreational spaces. These spaces are pivotal in developing a sense of community and providing opportunities for improved health and wellbeing for people of all ages.Biffa Award provides funding under the Recreation theme to projects that transform open spaces for the benefit of the community, providing them with more opportunities to become involved in recreational activity. Purpose: Cash 4 Clubs is a sports funding scheme supported by Betfair and SportsAid which gives clubs the opportunity to apply for grants to improve facilities, purchase new equipment, gain coaching qualifications, and generally invest in the sustainability of their club. Grant Value: Grants are available of £250, £500, £750 and £1,000 and decisions at time specific rounds are made twice a year. The CSRT aims to improve the conditions of boys and girls in England under the age of 21 and of all other persons by reasons of their poverty who would otherwise be unable to obtain facilities for recreational or other leisure time occupations. The Trustees give grants and awards, focusing on smaller projects where the grant makes a real contribution to the success of that project. Applications should be for a specific project or item of capital equipment rather than on-going running costs. The Trustees do not give grants to individuals and the average grant is in the region of £2,500. Applicants should make every effort to ensure that their application is within the guidelines of the Trust and in order to save time and cost to the charity, ineligible applications will not be acknowledged. Applications will not be accepted by email. Recently, the Trustees have found it necessary to apply even more strict criteria and we now do not consider applications for sensory gardens or community allotments or funding requests from state funded schools or other institutions. Projects which are based on horticultural activities must be able to demonstrate that they provide training to a recognised qualification for the participants. For further guidance please visit the website below. Application Form: Apply in writing by post (emails not accepted). Priorities/details: The Clothworkers’ Foundation aims through its funding to improve the quality of life, particularly for people and communities facing disadvantage. There are separate guidelines for Textiles and Conservation - CPD Bursaries/ Fellowships. Deadline: There are no deadlines for applications - applications are accepted all year round. The Co-op have a fund available for community projects. This is made up of 1% of their members spend on own-brand products plus money from carrier bag sales. The scheme has raised over £18 million for local causes! Visit their website to find out more about how you can put your cause forward as a possible beneficiary. The places where people play sport and get active really matter. Whether it’s the park you run through, the hall you do classes in or the pitch you play on, welcoming, convenient and accessible spaces have a big impact on a person’s experience – and likelihood of coming back. The Main Fund is responsive to requests for support across the broad range of their interests, which are: the arts, education and learning, the natural environment and enabling disadvantaged people to participate more fully in society. Funding so widely creates a lot of competition. In 2010 they received around 2900 eligible applications to the Main Fund and made 270 grants totalling £21.4m. The average grant size was £79,000. To ensure that they can respond to so many requests, the application process is in two stages. They will acknowledge receipt of your first stage application within a week of receiving it and email you within a month to say whether they would like to take it to a second stage or decline to support it. If they invite you to proceed to the second stage, they may ask you for additional information in order to clarify and expand on what you have already told them. Further details on types of projects funded and exclusions are available from the website. Application Form: Apply in writing with an outline proposal. Guidance is available to download from the website. The Football Foundation is a charity funded by the Premier League, Sport England and the FA. It offers a range of funding streams for football from revenue grants such as Grow the Game, to grants for equipment such as goalposts and those to support refurbishment and build of new facilities. Our Small Grants Scheme is designed to support smaller charities registered and operating in the United Kingdom, especially those working at grass roots and local community level, in any field, across a wide range of activities. Please note we are not able to support individuals. The Henry Smith Charity is a large grant making charity. They make grants totalling approximately £25 million each year to up to 1,000 organisations and charities for initiatives and projects that address social inequality and economic disadvantage. Check the website below for more detailed information and for exclusions. Revenue Grants - Grants of up to three years for things like core costs (including salaries and overheads), or the running costs of a specific project (including staffing costs). County Grants - Grants for small organisations working in the counties with which we have an historical association, i.e., Gloucestershire, Hampshire, Kent, Leicestershire, Suffolk, Surrey, East Sussex and West Sussex. To be eligible to apply for a County Grant, your annual income must be below £250,000, unless you are working county-wide, in which case your income must be below £1 million. Application Form: Available to download from the website. You will find information about how to make your application in the guidelines for each type of grant. Some grants require you to fill in an application form. For others there is no application form; instead they provide guidance about how to structure your application and what supporting documents you need to send. Here you'll find live information about Sport England's new funding opportunities, including the key dates you need to know. Since they published their strategy, Towards an Active Nation, they've been doing a lot of detailed work to develop their new funding programmes. Persimmon has two brilliant schemes which give money to good causes. Their Community Champions programme gives away grants of up to £1000 to local community groups and charities and their brand new Healthy Communities programme is giving away a whopping £600,000 in cash donations to support amateur sport for young people. The top prize is £200,000 so apply without delay. Please visit the Persimmon website for more information. The Peter Stormonth Darling Charitable Trust Grant is provided and administered by the Peter Stormonth Darling Charitable Trust and is available for TSOs in the UK. Deadline: The applications process is ongoing and interested applicants may apply at any time. There are some 2o,ooo playing fields left in the UK, most of which are run by volunteers, and nearly all of which are struggling to survive due to lack of funding, advice, help and encouragement. The PFLF will not be accepting any further applications for a temporary period whilst we consider the future direction of the Charity. Applications currently submitted will be assessed and award decisions made in due course. Information will be posted on the web site when the PFLF will reopen Nov 2017. Purpose: Reaching Communities funding from the Big Lottery Fund is for projects that help people and communities most in need. Projects can be new or existing, or be the core work of your organisation. Applications to the fund must achieve one of four outcomes, one of which is healthier and more active people and communities. The Reaching Communities programme has two strands: Reaching Communities revenue and small capital – funding from £10,000 to £500,000 for revenue projects and/or smaller capital projects up to £50,000. Funding can last for up to 5 years. Reaching Communities Buildings – funding of between £100,000 and £500,000 for large capital projects. In 2003 the RFU set up the Rugby Football Foundation as a limited company charity in developing and supporting community rugby clubs. It provides a range of funding streams including ‘Helping Hand’ grants for smaller capital projects (£500 to £1,500), the ‘Groundmatch Grant Scheme, and an Interest Free Loan Scheme for up to £100,000 for capital works for clubs at level 4 and below which contribute to the retention and recruitment of community rugby players. Priorities/details: The Foundation raises funds throughout the year to support causes that will change people's lives. · Sickness, disability or other disadvantage or distress) in the UK? · Construction of homes, community facilities and other buildings? · Will the project be environmentally friendly? Small Grants uses Lottery funding to make awards of between £300 and £10,000 to not-for-profit organisations to help more young people (aged 14+) and adults take part and keep a sporting habit for life. 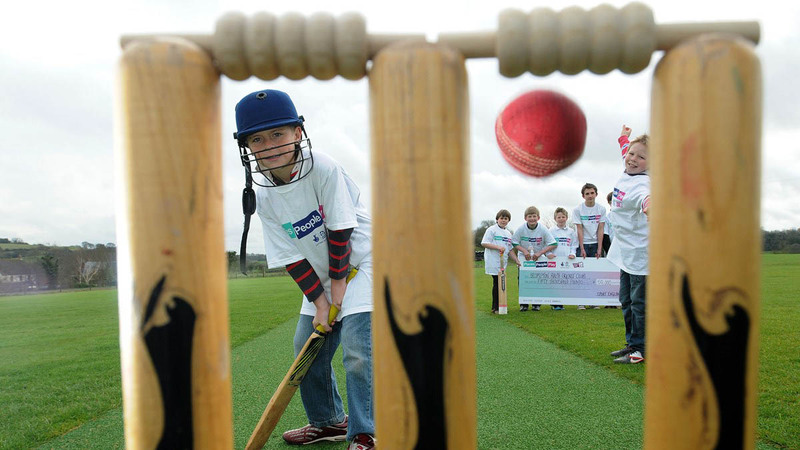 Visit the Sport England website for more information on their Small Grants funding. If you are interested in making a Small Grants application Wiltshire and Swindon Sport can assist in you with your application. We can provide you with general guidance and tips for making a successful application or we can prepare your bid for you. Grant applications are more likely to be successful if the project has been carefully thought out and clearly described within the on-line application form. As with all Lottery applications there are somethings that can be included along with things that are ineligible. We can advise you once you have put together an outline of your project. The Tennis Foundation (TF) is excited to introduce our Coach Grant Scheme supporting disabled people involved in disability tennis through the TF’s Network Programme to enable them to gain coach education up to an LTA Level 2 coaching assistant. The Foundation is a Charitable Trust originally established to develop and operate the hockey stadium at Milton Keynes. It is separate from the Hockey’s National Governing Body. Grants are generally available for between £10,000 and £75,000 and predominantly awarded to organisations working with young people. The Torch Trophy Trust is a charity that rewards, recognises and supports volunteers in sport and recreation. Torch Trophy Trust bursaries provide financial support to individuals or groups wishing to undertake training to enhance their knowledge or improve their coaching skills to assist their club, organisation or community and develop their chosen sport. Seeking to improve a skill that will benefit the local community or group to which you are affiliated. Your governing body wishes to assist but cannot provide adequate funding for your chosen activity. Wishing to gain a Level One coaching qualification. Bursaries range from £100-£500 and must not account for more than 50 per cent of the total costs of any course or activity. Priorities/details: Trustees of the Trust are committed to supporting a large number of excellent local organisations and projects that support disabled children and their families on a daily basis. Application process: Applications are via an on-line application form accessible through the website. The Wiltshire Community Foundation have 2 grant programmes available to local community groups. Their aim to support local voluntary groups which benefit those who are disadvantaged - economically, socially, geographically or physically. For more information, please call 01380 729284. Purpose: Funding is available to help provide facilities, equipment and projects that are important to the local community. The Council's Area boards wish to support the idea of volunteering and community involvement so have decided that community area grant funding should go to these groups. Grant Value: Up to £5,000 available (more in exceptional cases) for community projects. Funding linked to local priorities. Online application process. Up to and including £500 available for small projects, where there is no matched funding required. Up to 50% of the total cost of a project, where the total cost is more than £500. Visit the Wiltshire Council website for more details. Spaces for Change (S4C) is a UK wide programme that will find, fund, support and connect young people aged 16-24 to start and run social ventures that unlock the potential of unused or under-utilised spaces for the benefit of the local community, especially other young people.